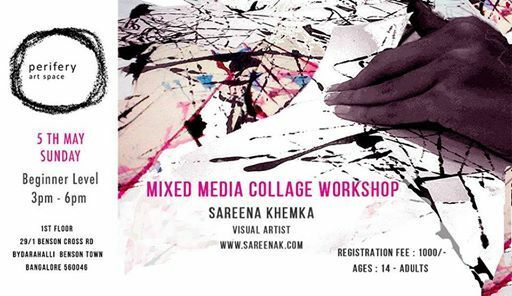 This is a beginners workshop that takes a peek into the world of collage making using simple materials and techniques that anyone above the age of 14 is eligible to participate in. Tap into your imagination to create your own marks on paper using marbles, thread and other out of the box drawing materials & inks for collaging, using specific techniques that will enable you to make simple 2D & 3D Sculptural collages. This workshop will help boost creative thinking while teaching you some basic tools in collaging that moves beyond simple cut and paste. Sareena Khemka is a visual artist working in mixed media drawing, painting and sculptural installations. She holds a B.F.A degree in painting from The School of the Art Institute of Chicago, 2007 and Kala Bhavan, Santiniketan, 2004. She was also a part of a 6-week summer painting program at The International School of Drawing, Painting and Sculpture in Italy, 2006 and Triveni Kala Sangam, New Delhi, 2001. 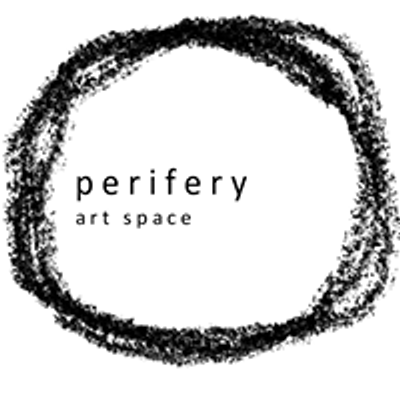 She has recently started an alternative art space called Perifery that is an artist studio as well as incubator space for experimental art projects focusing on urbanism art and science. She hosted a studio crawl as a part of design week in Bangalore in Oct 2018 called Build & Grow, that showcased sculptures, installations and some experiments, combining science and art. She was one among 10 contemporary artists selected for the Art & Deal auction alongside old & modern master artists as a parallel event during the India art Summit, New Delhi. She was one of the two artists representing India in the SAARC Art Camp for Climate Change, in Bhutan. Her works have also been exhibited at the Centennial Park for heads of state of the Saarc countries, Saarc Art Camp, Bhutan. Shows include, Once upon a time in Black & White, Art Centrix Space, New Delhi, 2017; Introspective Revelations, Gallery Veda, Chennai, 2016; Scape & Scope, Tao Art Gallery, Mumbai, 2016; India art fair collateral show, Art Konsult, New Delhi, India; Mapping Detours, Chitrakoot art gallery, Kolkata, 2014; Deep Skin: Skin Deep, Art Chennai, curated by Mayank Mansingh Kaul, 2014; United Art Fair, New Delhi, curated by Peter Nagy, Allegories, Art Konsult, New Delhi, 2012; The Human Spill, (sculptural installation) Kala Ghoda Arts Festival, Mumbai, 2012; SAARC Art Show, Tarayana Art Center & Centennial Hall, Bhutan, 2010;Undergraduate Show, G2 Gallery, Chicago, 2007 and Cities Apart, Genesis Art Gallery, Calcutta, 2006 (Solo). 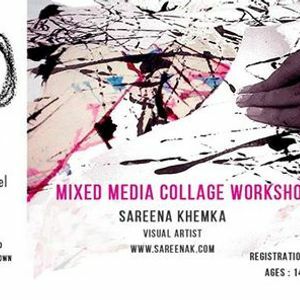 Sareena has also been a resident artist at Space 118, Mumbai multiple times from 2010 to 2013. She was selected for the 6-week drawing residency in Mumbai by Piramal Art Foundation in 2016 and the Forecast forum in Hongkong in 2015. The artist has taught several workshops in Chicago, Bombay & Kolkata. The artist currently lives and works between Bangalore and Kolkata.